Mike Tyson’s first fight after leaving prison in 1995 was against a fighter — Peter McNeeley — whose greatest claim to fame continues to be that he once fought Mike Tyson. Not surprisingly, Tyson won with a first-round knockout. This was on purpose, according to Hailan Hu, principal investigator at the Zhejiang University School of Medicine in China. Worried about Tyson’s competitive edge after three years of incarceration, boxing promoter Don King arranged for Tyson to fight several unremarkable fighters such as McNeeley (or “tomato cans” in boxing parlance) to help build Tyson’s confidence, and ready him for more deserving competition in the future. It’s a psychological concept known as the “winner effect”: Win a competition, and you feel more confident. The more confident you are in your abilities, the more likely you are to win your next match, which, in turn, makes you even more self-confident; and so on and so on, ad infinitum. Hu believes she’s discovered a way to induce this winner mindset in men, even without their having to win at anything. More scientifically speaking, she’s identified a brain region in mice — known as the dorsomedial prefrontal cortex — that regulates social dominance behavior. Using light, she stimulated this neural circuit in certain male mice and noticed that as a result, they were more socially dominant. 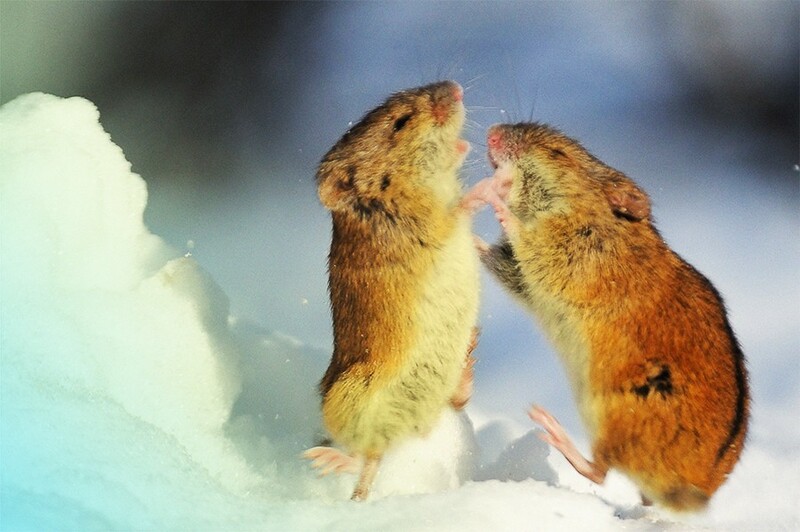 When placed in a tube and forced to confront another mouse, they were more resilient to getting pushed by the other mouse, less likely to retreat and more likely to “win” the interaction. The study seems to have some profound implications for the world of adult men, where men tend to be classified along a pretty rigid binary: Winners and losers. Alphas and betas. Haves and have-nots. Real men and pathetic cucks. Whatever the nomenclature, we tend to think of men as either one or the other, and that it determines their place in the social hierarchy. In a recent interview, I asked Hu if her research disproved whether some men are natural leaders, whether we can incept men to be alphas and what a disaster a world full of winners would be. How did you discover you could induce this kind of behavior? In a separate study we published in 2011, we found that the prefrontal cortex in mice is important for the regulation of hierarchical status. We used a bio factor to manipulate that region. But that takes about 24 hours to three days for the molecules to have an effect. In the current study, we used light to control this area, and the effect was almost instantaneous. Neural activity increased and behavior changed within seconds. What specifically about the mouse’s behavior indicates he’s being more dominant? In the tube, the mice are pushing against each other. We found that the winners are usually the ones who initiate the pushing, who can resist pushing for a longer duration and who have less retreat behavior. Then we shined a light on the originally subordinate mice, and saw their number and duration of pushes increase. They also resisted being pushed for longer. This led to them winning more often since they pushed the loser out of the opening in the tube. They literally become more pushy? Yes. But I wouldn’t say they were more aggressive, though. It’s more like they have more persistence. Aggression is an act trying to injure the other mouse. That’s not what we saw. So they have more perseverance? That’s interesting, because a lot of people worried that this was a study about turning men into bullying alpha males. What we’ve emphasized in our paper is that we aren’t making the mice more physically powerful and that the treatment isn’t changing their hormonal levels. We’re just changing their ability to withstand during social interactions. “Bullies” is an overly simplified way to describe this behavior. So what are the implications of your study? It relates to the “winner effect,” which is the phenomenon when an individual wins and therefore is more likely to win later. The history of winning has an impact on a person’s future performance in competition. Multiples wins lead to future wins. Are you saying you can instill a winner effect mindset in people? Yes. We stimulated the mice six times, and they won each time. Later, those same mice won their interactions without us even stimulating them. We found that it’s like learning how to change. We’re inducing a change in this neural pathway to have the mice think like winners. The results seem to suggest some people are natural winners, and others are natural losers. Correct. Winners probably have a naturally higher amount of activity in that neural region. But we can change the opposite mindset, at least in mice. Does that apply to humans? Yes. If you play easier competition to win at first, it will mentally prepare you for tougher competition. The application for sports are obvious. Athletes would love to take advantage of this. But at least for now, we have to get light into the brain to induce this kind of change. So we’re still a big step away from conducting this treatment on humans. Is it unrealistic to think people in the future will do light therapy on their brains? For depressed patients who lack motivation, if we identify the region that handles motivation, light could possibly be a good therapy. But there are some ethical concerns, too. There’s a general ethical concern any time you manipulate brain activity to change a person’s behavior. It’s the same ethical issues facing gene therapy: To what extent should we change the natural behavior or natural genetic programming of an individual? And for the social hierarchy to remain stable, it’s also important there are losers, too. There should be individuals who recognize and display subordination so there won’t be a massive physical fight all the time. The reason to have a social hierarchy is so animals and humans don’t have to fight all the time once they have a recognizable rank in their society. So if everyone had a winning mindset, it might be chaos.